Get the most out of your move to the cloud! Looking to centralize within your region or around the world, the cloud has the most to offer. Replicate your entire datacenter to our cloud - without standing up from your desk. IaaS, or Infrastructure as a Service, provides the most benefit alongside flexibility in the cloud. Our cloud is built around the dependable integrity of the enterprise. Looking for more dependable cloud infrastructure? Say hello to Virtual Data-Centers from ServedBy the Net! The tools & technologies you need, available on-demand, with ServedBy&apos;s Cloud Solutions . Powerful management tools & integrations with VMWare vCloud Director & the VMware vCloud API. 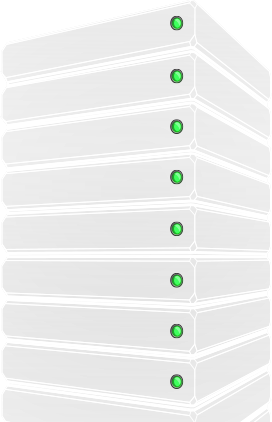 Receive IPv4 & IPv6 allocations dedicated to your company. We work with your business to provide cloud solutions tailored to your needs. Pay for only the resources you need with flexible pay as you go pricing. Placing applications on the ServedBy cloud simplifies & accelerates deployment, management, and the end-user's experience. Unleash your application's potential with our burstable & low-latency internet bandwidth. Leave the Infrastructure to us and focus on what you do best. Dedicated firewall endpoints with VMWare vShield inlcuded. Advanced solutions available.